After manually creating a list in SmartrMail, you can embed a HTML sign up form on any page of your online store. If you're comfortable with HTML and CSS you can customize this form to match your store's branding and attract new subscribers. From the Subscribers page, enter the manually created list you'd like to add your new subscribers to. Copy/Paste the HTML code into your store's site code. 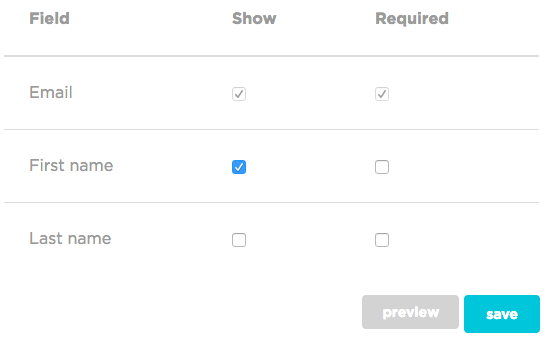 This stage is totally optional - if no option is placed, the subscriber will just be redirected onto the home page. Note: It's important to note that you cannot put SmartrMail's URL into MailChimp widgets. The inputs are not the same and your subscribers won't be collected. If you're not comfortable at all with HTML, ask your site developer or just use our handy popup!